Enjoy the colors of autumn on this comfy Hay Couch and warm up with this cozy firepit! 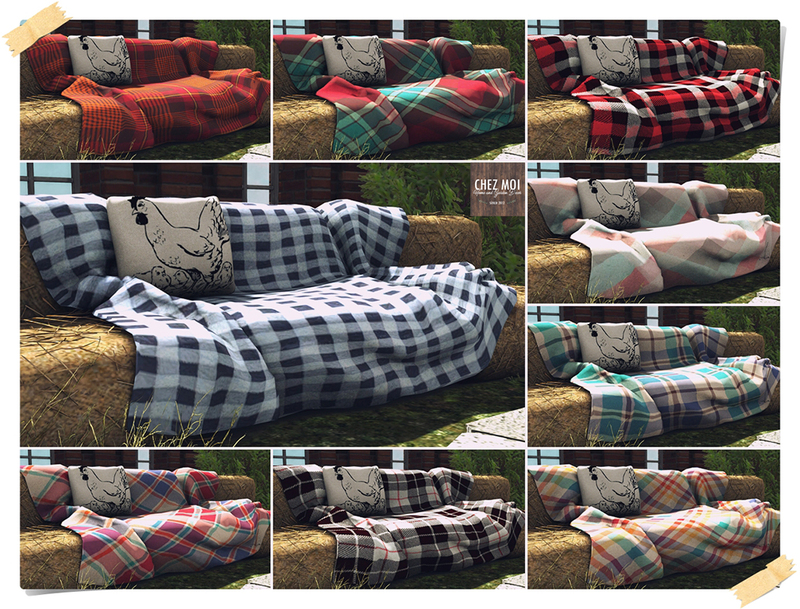 The hay couch comes with 104 animations in PG version and 164 animations in Adult version. ♥ Room for 1 – 4 people. Texture change options: touch the blanket to display the texture menu – 9 options. Touch the wood in the firepit to display fire effects menu – light, smoke, and ember. Available at CHEZ MOI MARKETPLACE, or for a closer look, visit our IN-WORLD STORE.